For all you pulled pork lovers out there, get ready! For all you pulled pork lovers out there, get ready! If you’re like me and add pulled pork to just about anything to make it taste even more delicious, Weber has something new this year to make your favorite food easier to prepare. Unfortunately, pulling the actual pork shoulder apart to create perfectly sized shreds of meat has a reputation of being difficult and time consuming. The easiest way to shred pork to add to your favorite dishes is to use the Weber Bear Claws because they make the process almost effortless. Using your hands or forks to shred a pork shoulder can be a little strenuous and produce less than uniform portions. 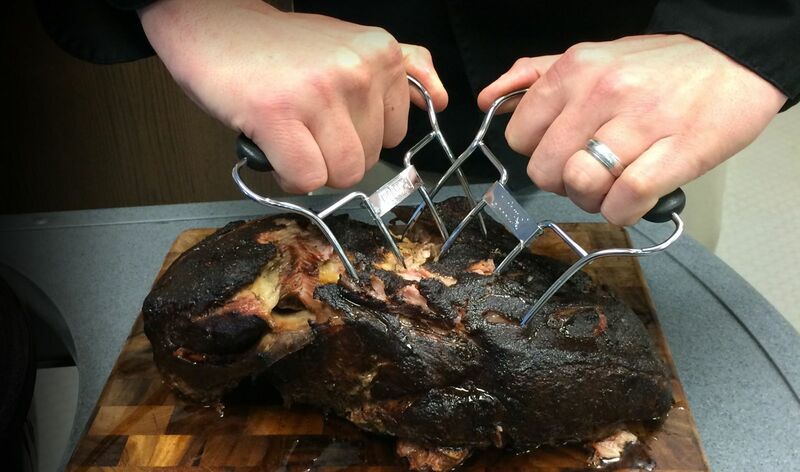 Using the Weber Bear Claws to shred takes only seconds and the result is perfect bite size pieces of shredded pork. You can also use them to shred brisket, chicken, or turkey to add to tacos, sliders, and whatever else you can think of. Get creative with how to add shredded meats to your favorite dishes to kick them to another level. I hope you enjoy them as much as I do!